LSB Industries, Inc. (NYSE: LXU) shares tumbled 24 percent to $8.08. LSB Industries posted Q2 loss of $0.53 per share on revenue of $122.9 million and issued an update on its strategic alternatives review process. The company’s board decided to terminate the formal sale process portion of its strategic review. Amedisys Inc (NASDAQ: AMED) shares declined 16.8 percent to $49.44. Mizuho downgraded Amedisys from Buy to Neutral. Kindred Healthcare, Inc. (NYSE: KND) shares fell 15.6 percent to $9.45. Triumph Group Inc (NYSE: TGI) shares dropped 15.2 percent to $28.25 after the company posted downbeat Q2 earnings and issued a weak forecast for the year. Almost Family Inc (NASDAQ: AFAM) shares fell 13.3 percent to $49.18. Akamai Technologies, Inc. (NASDAQ: AKAM) declined 12.9 percent to $46.43. Akamai posted upbeat results for its second quarter, but issued a weak forecast for the current quarter. Wabash National Corporation (NYSE: WNC) shares dipped 12.3 percent to $20.74 after the company reported downbeat Q2 earnings. USANA Health Sciences, Inc. (NYSE: USNA) slipped 11.9 percent to $57.05 after the company posted downbeat Q2 earnings and lowered its FY17 guidance. Integra Lifesciences Holdings Corp (NASDAQ: IART) dropped 10.5 percent to $49.81. Integra posted in-line Q2 earnings, while sales missed estimates. Hawaiian Holdings, Inc. (NASDAQ: HA) shares fell 10 percent to $39.79 on weak Q2 earnings. Bloomin' Brands Inc (NASDAQ: BLMN) declined 9.7 percent to $18.75. Bloomin' Brands reported Q2 adjusted earnings of $0.28 per share on sales of $1.033 billion. Invuity, Inc. (NASDAQ: IVTY) fell 9.5 percent to $7.15 after the company posted a wider-than-expected Q2 loss. Orion Engineered Carbons SA (NYSE: OEC) dropped 8.8 percent to $21.58. Orion Engineered reported a 10 million secondary offering. Tupperware Brands Corporation (NYSE: TUP) shares fell 8.6 percent to $63.59. Tupperware posted upbeat quarterly earnings, but sales missed expectations. The company also issued a weak earnings forecast for the current quarter. Universal Health Services, Inc. (NYSE: UHS) declined 7 percent to $ 114.36 as the company posted downbeat Q2 earnings and lowered its FY17 outlook. Wynn Resorts, Limited (NASDAQ: WYNN) shares dropped 6.6 percent to $129.74. Wynn Resorts reported Q2 adjusted earnings of $1.18 per share on sales of $1.53 billion. Telsey Advisory Group downgraded Wynn Resorts from Outperform to Market Perform. Compugen Ltd. (USA) (NASDAQ: CGEN) shares slipped 6.2 percent to $3.80 after climbing 19.12 percent on Tuesday. Compugen issued an update for collaborative efforts with Bayer in immuno-oncology. Moelis & Co (NYSE: MC) declined 4.4 percent to $41.90. Moelis priced its 6 million share offering at $42.00 per share. Alternative Investments: Boom Or Bust? 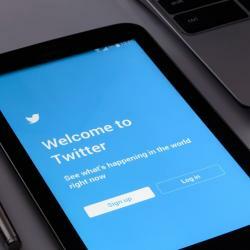 Twitter To Report Q2 Earnings: What Might Be Expected?